Hi! 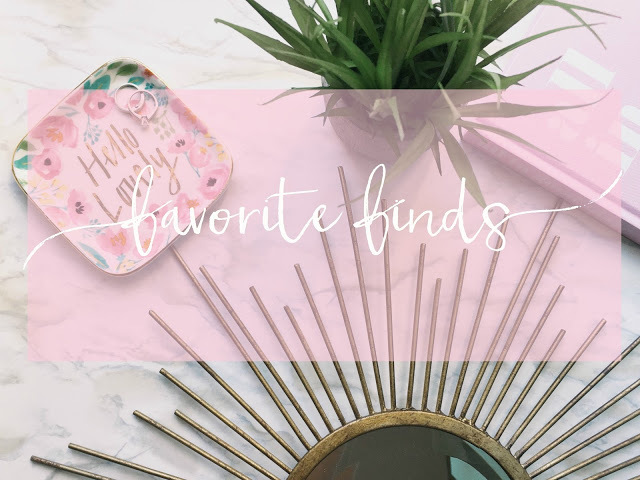 Welcome to a new little series I’m calling “Favorite Finds”. 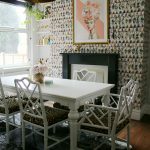 With the hustle and bustle of life, I don’t always have a DIY going (ok, I probably do) or project to share. Heck, sometimes I don’t have anything to offer any of you sweet readers at all! 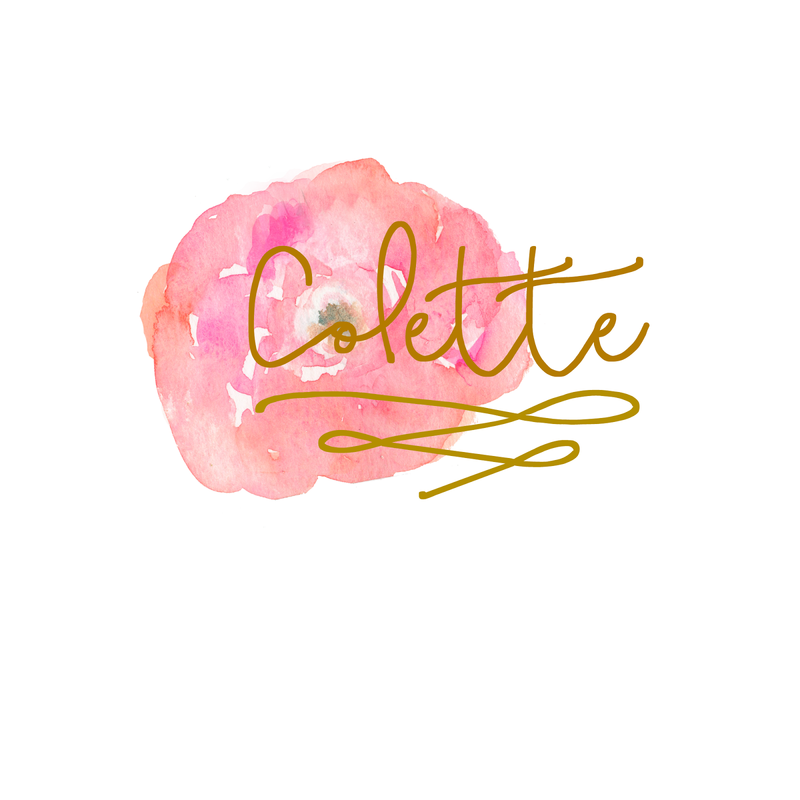 So, I thought it’d be fun to pop in with some things I’m loving, bloggers or etsy shops I am following, or just random helpful tidbits to share the love. So, come along and let’s get this party started! So the project of the week has been to makeover our ‘off the garage’ closet into a command/drop zone for our family. I shared our Kate Spade Inspired Mood Board for this space earlier in the week and I’ve been working around the clock to check this off the list! 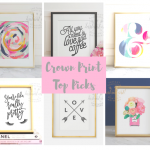 While searching for artwork and printables on Pinterest I came across this sweet online shop! 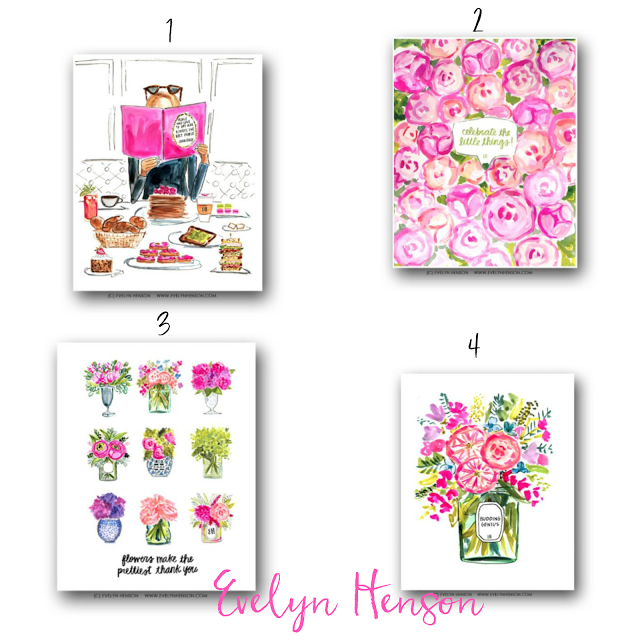 Evelyn Henson has the most colorful and vibrant prints that I heart! 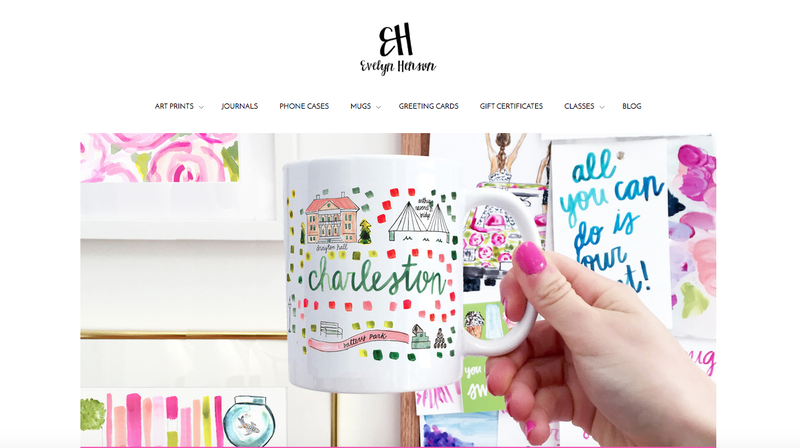 Her artwork is full of whimsy and life and I couldn’t help but swoon at every piece! The bright pinks, vibrant greens, with hints of black are so chic and fun. Her website was so inspirational and fun that I could spend hours just perusing. Now to decide which print to order for my closet…. You all know I’m a die hard Anthropologie fan. My anthro curtains hang loud and proud in my room and I could spend an entire day in their store front smelling all.the.things. I’ve had my heart set on these hooks since I first laid eyes on them and I’ve almost bought them a dozen times. Well, here’s the story. Those hooks are $18/piece and I needed 4. So yah that’s a lot of money on some striped hardware. And I was TOTALLY going to buy them because I’m all for getting what you love and pinching costs in other areas of the project. 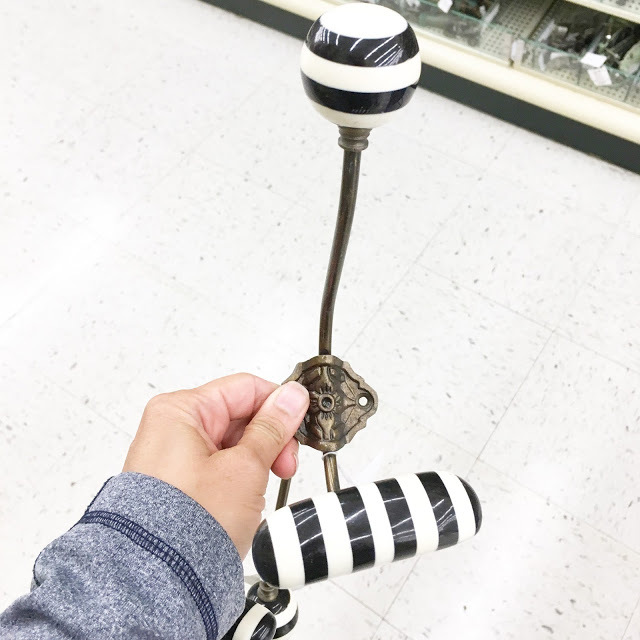 Here’s the catch: If you follow me on instagram then you saw that I posted this hook’s doppleganger that I found at..wait for it… Hobby Lobby! Not only was this hook a spot on look-alike. It was on sale for $5! FIVE DOLLARS people! That’s a savings of over $60. So, sorry Anthro but Hobby Lobby won this time. Here’s another look side by side just for fun. You can see some slight variances…but for $60 savings I’m willing to overlook. 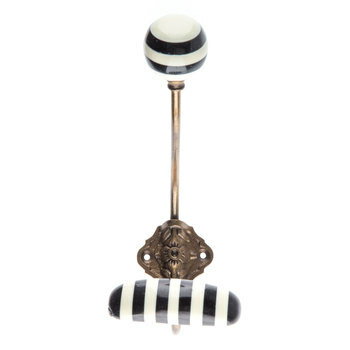 My final favorite find comes from a company named Olie. Truth be told, they found me! I was approached by Amrita, the founder, to take a look at the company, their missions, and their products. I was beyond thrilled and honored and now I want to share with you what they have to offer. 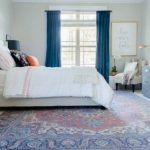 Olie is an up and coming Indian based company specializing in affordable pillows, table runners, lighting, and much more. 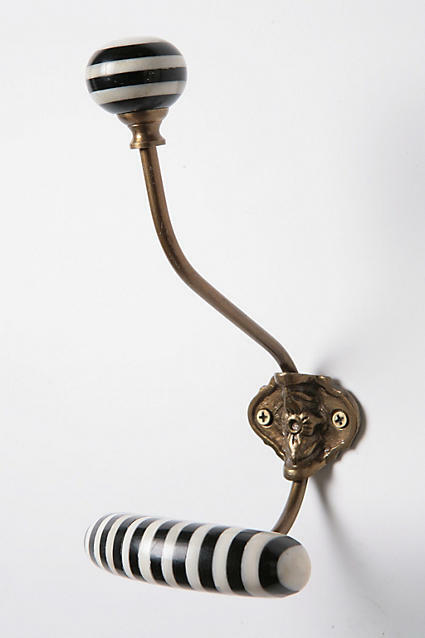 Each item is hand crafted by local artisans to create beautifully unique pieces for you to enjoy. Aren’t they fun and whimsical? I couldn’t resist snagging a few fun pillow covers. Once they arrived I couldn’t wait to put them in my home! 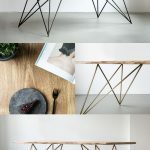 I just loved the story they told and knowing that each piece was handcrafted locally made them feel even more special. Here is the pink pillow with the sweet little grey tassels. 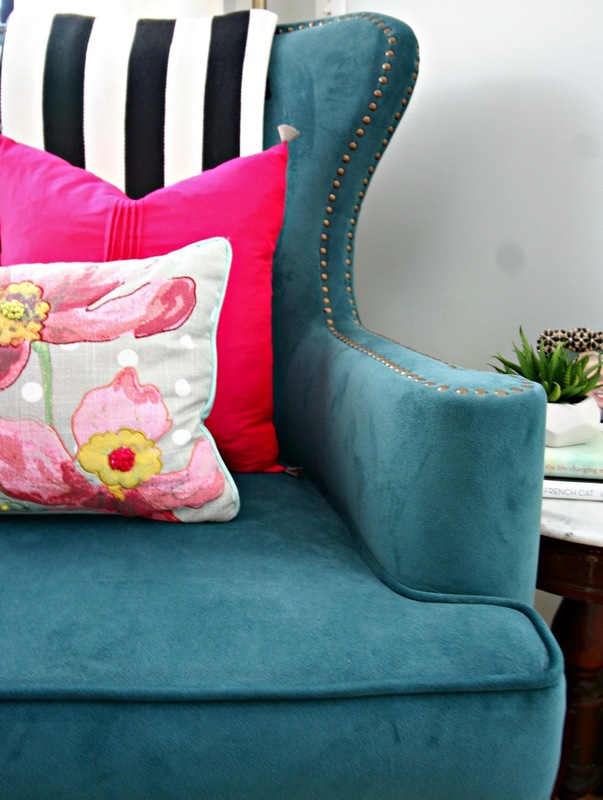 Talk about a pop of color! The pink hue packs a powerful punch (haha say that three times fast). I paired it with a lumbar pillow I already had and left the black and white stripe blanket on the back of the chair. 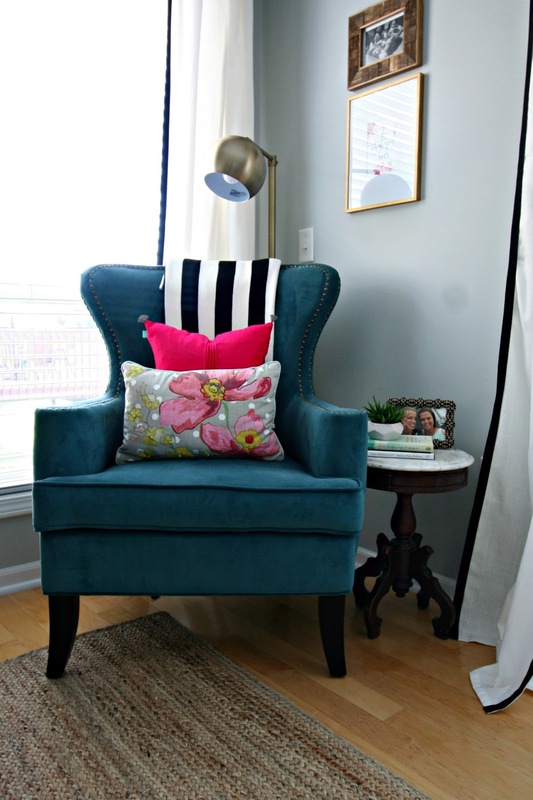 I LOVE the layered look and I just smile when I walk in the room seeing this fun little corner. The other pillow cushion I received I’m saving for a fun little project (okay BIG) that I’ve been working on so more details soon. 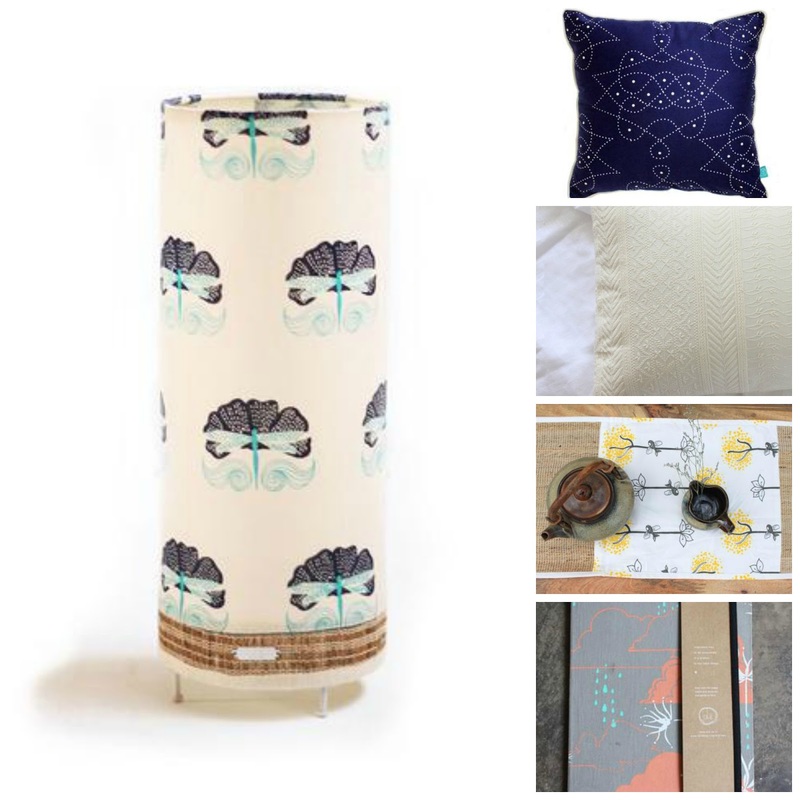 If you haven’t yet, head over to Olie Living and check out all the beautiful pieces they have! * I received product from the Olie Living Company. All thoughts and opinions are my own. That’s all I’ve got for today! Today is my Monday (womp womp) so I hope you all have a beautiful weekend! I’ll be back next week for an oh so lovely closet reveal! I love that anthropologie knock off! 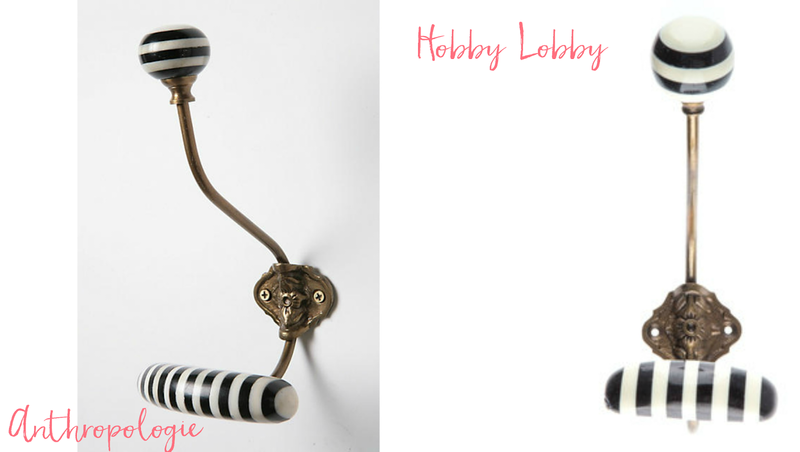 I love anthropologie, too, but finding a cheaper and almost identical piece is so much better!